ADATA® Technology Co., Ltd., a global leader in memory products, is proud to present the CW0050 wireless charger, a new paradigm in wireless charging technology. The advent of the mobile age has brought many phones capable of wireless charging, including the widely-popular iPhone 8 and iPhone X. IHS Markit, a market analysis and survey firm, estimated that the market for wireless charging will surpass 10 billion USD in 2019, and 1 billion smartphones will use wireless charging by 2020. 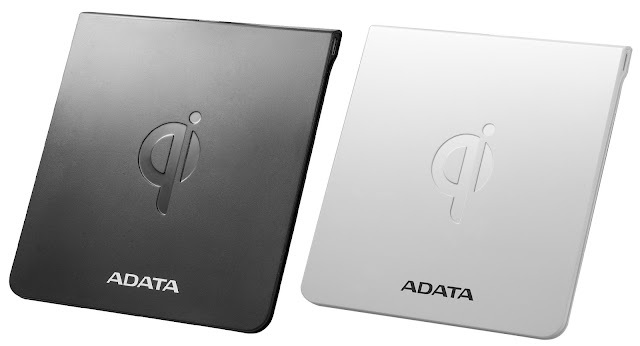 The CW0050 represents ADATA’s intention to establish itself in this market, with its ultra-thin 6mm charging plate, its stringent WPC Qi certification, its convenient orientation-neutral charging system, and its minimalist yet elegant design. Furthermore, the CW0050 is compatible with a wide range of iOS and Android phones, which means it epitomizes a new generation of convenience and elegance for users. The CW0050 frees you from having to worry about keeping your phone charged or bringing adapters and cables when you’re out and about. Furthermore, at just 6mm thick, the CW0050 is space-saving and unobtrusive. Simply place your phone on the CW0050 so that the phone covers the entire Qi logo, and the device will begin charging. Besides, the CW0050 can also sense any metal foreign objects (Foreign Object Detection) on its surface. You don’t even need to worry about aligning your phone the correct direction! The CW0050 is placed in the center will work in any orientation! Furthermore, the CW0050 has passed the most stringent Qi certifications, and its ceramic capacitors ensure the most stable supply of power. Its performance is not affected by time, temperature, or voltage. These factors combine to ensure the CW0050 is the safest charging option. What’s more, the CW0050 is compatible with a huge array of iOS and Android phones! 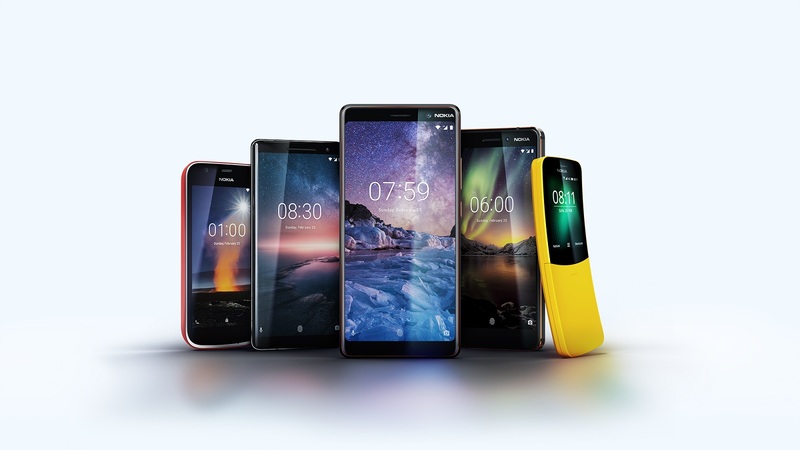 Available in three slick colour blends: Black/Copper, White/Iron and Blue/Gold, as well as two configurations of 3GB RAM/32GB ROM, which will be available in early April, or 4GB RAM/64GB ROM coming later, the New Nokia 6 will go on sale in early April and will retail for a global average retail price of €279 excluding taxes and subsidies. Triple your power and zero in on taste with new sugar-free Score Zero Energy Drink. With a triple shot of Guarana for an explosive caffeine boost of flavor, new Score Zero is a fresh spin on the supercharged, ultra-premium Score Black. It has the same great taste and a healthy dose of B vitamins to amp your power minus the sugar. Both Score Black and Score Zero are free of taurine, leaving you with the great aftertaste Score fans have come to love. For an epic surge of power and good taste, mix it with your favorite premium vodka. Score Black lit up the music scene with its launch last year in collaboration with South African hip-hop sensation, Kwesta. 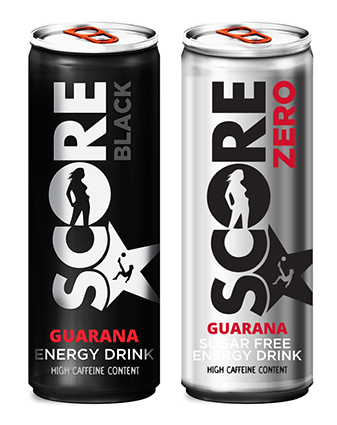 Available in 250ml slim cans, new Score Black and Score Zero are available in leading outlets at around R11.99. You’ll want to give them a shot! Visit www.drinkscore.co.za or join the Score A-listers on www.facebook.com/DrinkScore and @drinkscore on Twitter and Instagram. There was a time when there simply wasn’t much choice of products to buy or services to use. You used the local doctor, shopped at the greengrocer or butcher, milk was milk, and if you look all the way back to the year 1908, the only car on offer was a Ford Model T. As the world becomes a village and purchases can be made in cyberspace from anywhere in the world, not only do products have to stand out from the crowd, but customer service must be exceptional. Digital communication may have changed communication in many ways, but it has also taken the customer experience back to the good old days when a handshake and a smile closed a deal or smoothed ruffled feathers – but with a twist. With the advent of social media platforms like Twitter or Facebook, it’s far easier for consumers to make their voice heard, instantly and very publicly. Now all interactions are out there in full color; whether it’s a complaint or a compliment, customers can air their opinions and experiences to simply everyone. Social media has made customers more confident and has changed the balance of power between brands and customers. This, coupled with the Always-On culture of today’s world, demands that companies stay on their toes and have quick come-backs and exceptional customer service plans. As Generation Y’ers and Millennials grow up and their buying power escalates, there’s even more pressure on companies to stay ahead of the game, because these market segments are not only highly proficient with digital communication, they also believe that experience trumps material possessions. The experiences they want don’t just come to the fore after a customer has purchased a product or used a service – the journey begins with the customer’s need or desire. It starts with a presence in the right place at the right time with a promise that can be backed-up. Customers no longer simply pick the first product they see that seems to meet their needs. Before making a decision, they check – is the promise true, what have other people’s experiences have been, is this excellent value for money? A brief social media post saying, ‘Hey I’m thinking about buying a new phone,’ will yield numerous responses which will detail peer opinions, recommendations, and warnings. It doesn’t matter if the opinions are skewed or even wrong – they will be the potential customer’s primary decision-making foundation. U.S. Research and advisory company Gartner indicates that by 2020, customers will manage 85% of the relationship with an enterprise without interacting with a human. “As a leading technology company, Samsung offers the very latest in innovation – and it is vital that our customer service matches that, as well as our brand promise that strives to make customers’ lives better. We are consistently creating new and innovative ways to ensure our customers can enjoy seamless use of our products,” concludes Chetty. The bottom line is that it doesn’t matter how brilliant your product is, if you aren’t able to engage with your customers, they’ll stop buying from you. Whether your customers are complaining or complimenting, they expect to be heard, recognized and have their opinions addressed. Secondly, I have decided to start rather than wait for the right time etc. or resources or the perfect stuff to write. It's always my stigma and gives me huge delays in my posts on any of the social media channels. You need to always go ahead and post what is right at the moment instead of delaying it to the future. Thirdly, I will stop the subscription to the automated tweets systems in March 2018, I have been using for the last 2 years. It will impact me hugely but I am not using it to the best of its abilities and thinking about the content I want to create in the coming months, it won't serve me the purpose. I will continue to finish all the tasks which are pending on me from various brands for many of the smartphones and laptops - I got to review and for which I still have to write the right stuff. It has been delayed due to don't know what kind of work or small stuff which has been attached to my life. I have to clear it from my desk and mind asap. Also, I have now worked on a plan to review the devices which will give a 360-degree view of the device from all features perspective. I am working towards all this in this new year 2018 and I hope to achieve the good work in the coming years with a dream to reach Mobile World Congress in 2020. Savaari Car Rentals is an online cab booking aggregator, providing customers with reliable and premium Intercity and Local car rental services. Over the last decade, they are uniquely placed as the largest chauffeur driven car rental company in India in terms of geographical reach. To Savaari, a road trip is one of the most exhilarating ways to travel the length and breadth of India. Because we all love traveling by road so much, Savaari has been striving to make sure you have a great experience too. They wanted more of you to go on a road trip, and more of you to experience the same joys of travel that we all do in our own cars in our own city. Instead of driving, why not sit back and take our chauffeur driven cabs on your next vacation? Savaari has expanded its services to 98 cities across India - to help you travel to wherever your heart desires. Their newest offerings include convenient airport taxi to get you to and from your city’s airport, and an extended local 12 hr/120 km taxi package. For those returning from a vacation or business trip, they’ll get you home from the airport in no time. Need to head to the airport to catch your flight? Just give them a call on +91 9045450000 and they’ll send you a cab! Did your flight just land at an airport or did you get off a train at the railway station closest to your destination? You can use their airport taxi, the transit pick up service to cover the last mile. They'll get you to your destination and show you some of the best sights along the way. For travelers looking for a car on standby when you’re out and about in the city, they’ve got you covered. Whether you've decided to explore the city in solitude, attend a business meeting or two, or take the family out on a shopping spree. Savaari offer Indica, Etios, and Innova cabs so you can choose which type of car you’ll be comfortable with. When you book a local taxi service for the whole day, you won't have to worry about getting from place to place. Head out and spend the day shopping, exploring and rediscovering a new city. Go ahead and book a cab for 4 hours/ 40 km, 8 hours/ 80 km or 12 hours/ 120 km, depending on your plan for the day. They'll pick you up from the location of your choice and drop you back. Head to over 6,500 destinations from 98 cities, whenever you like. Savaari have a chauffeur driven car for your every road trip need. Pack your bags every weekend, rent a car and explore everything there is to see around you. Whether you're on a road trip with just your family or a large group of friends, Savaari have a car to suit your needs. When you book an outstation cab, you can choose between an Etios for your small family and an Innova for your large travel group. They'll send you a travel kit to help you plan your trip, send you recommendations throughout your journey and ensure that their expert drivers guide you and give you a taste of the local flavor. Are You Game To Be More #CyberSmart and Insured To Say You’re #CyberSure? Cybercrime is a topic that you must have seen and heard again and again in newspapers, and on the internet and on TV. It’s a reality that we deal with each and every day, that our so-called private info may not be private anymore. The consequences of losing your private info can be monetary or financial loss, info and data loss, mental and emotional stress, and much more. Cybercrime is a serious matter and everyone should follow guidelines to protect their online info, and also learn about cyber insurance. Insurance for cybercrime is something we all need to consider as our lives have become more and more digital and connected online. More and more people are falling into the traps that hackers leave on social media, on shopping sites, and even via their online banking. In London, I was a victim of cybercrime while using a big online buy and sell website, and the police wouldn’t open a case using only my emails as evidence. I lost R8,000… Gone! My sister-in-law, who lives in Australia, has had her bank account hacked and her card cloned in India, to buy goods worth R10,000 in the USA. Again, no case, and no money back from the bank! While these are both personal examples, you can imagine that it would be devastating if something similar happened to a business! Which is why, if you’re a business owner or you have IT responsibilities at the company you’re with, you need to check out cybersure. It’s cyber insurance for businesses, from King Price. Go to kingprice.co.za for more info. 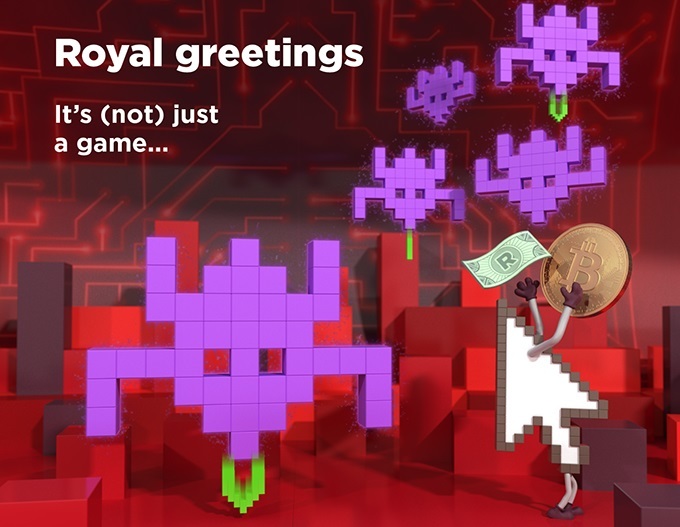 King Price launched cybersure with a super cool online game… Space invaders style. And, simply by playing, you can win a share of R1 million in Bitcoin or cash! So, head on over to cybersure.co.za and give it a bash! That kind of money could change your life and secure your future!